Once again, there was no winner of Presteigne St Andrews FC’s Super Lotto jackpot. The latest draw took place on Sunday, 3 February at The Farmers Inn. The four numbers drawn out of the hat were: 3, 13, 18 and 22. 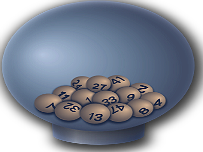 So, there was outright winner of the jackpot this week as nobody was able to match the four numbers needed. The jackpot has now risen to £4,607 and this will roll over to the next draw which will be held at The Farmers Inn on Sunday, 10 February. Well done to Simon Norman who was the winner of the Bonus Buy Prize for this week and so who will trouser £20 as a result. Tickets for the Super Lotto cost £1.00 each and are available from Carini’s Butchers, Stitch Embroidery and Print Service, Presteigne Carpets and Bed Warehouse, The Garage, The Farmers Inn, The Royal Oak and The Wine Bar, No 46.